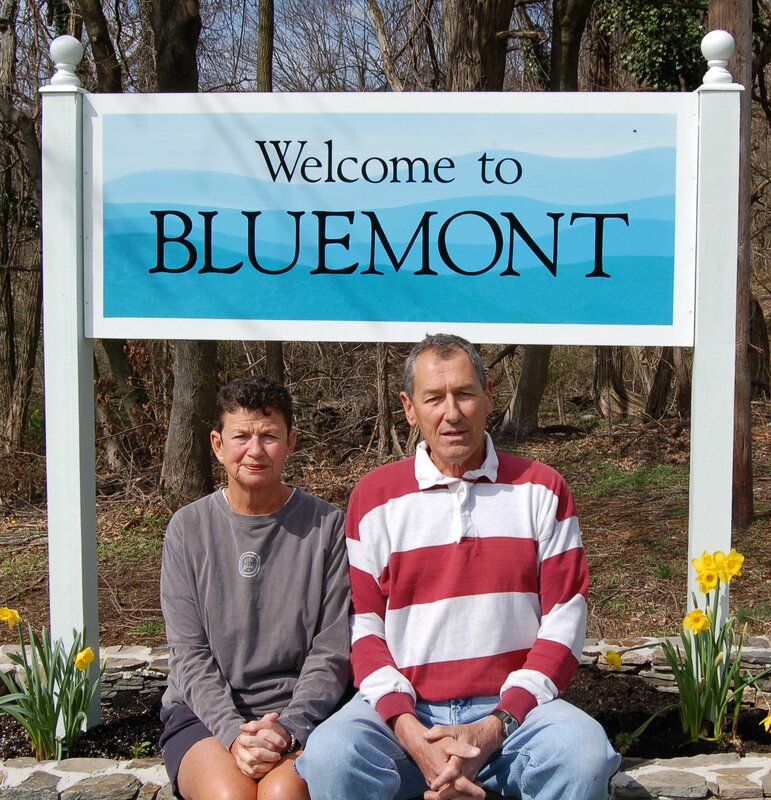 Linda and Don Corley with Bluemont’s new “welcome” sign on Clayton Hall Road. 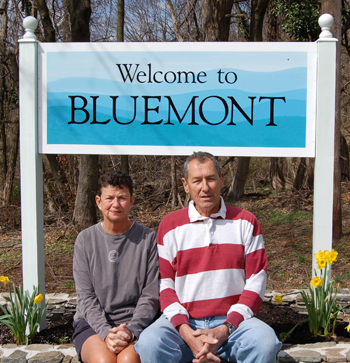 The marker, suggested by the property owners as a project of the Bluemont Citizens Association in 2007, was designed by Patty House of Sign Design. Abernathy & Spencer built the planting box and donated the soil. Kim Labash did the “leg work” and donated the spring flowers. The Corleys gave their labor to paint and put up the structure. Various neighbors provided useful advice, according to the Corleys.